Renowned sculptor Allison Weathers doesn’t believe in ghosts. But when a tragic twist of fate leads her to the small mountain town of Dawson Mills, Tennessee, she soon learns that the dead don't always stay silent. Shadows begin to shift in the rambling, old Victorian farmhouse she’s purchased. Voices come from nowhere. She can feel the eyes on her. Paul Bradford, a contractor who is bidding the renovation work on the house, believes it’s more than just Allison’s imagination conjuring up the paranormal activity. Toni Harper, a reporter for the local paper, concurs. She’s heard snippets of hand-over-the-mouth gossip from some of the town’s deputies who responded to calls in the middle of the night. Ghosts. Or so the former owner claimed in the few months before his death. 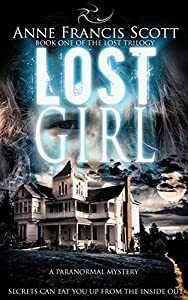 Lost Girl by Anne Francis Scott is a paranormal mystery/ghost story with chilling scenes at the fringe of horror. 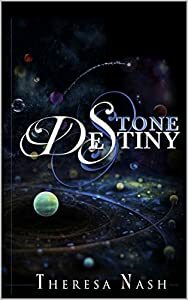 On the lam with her blind date and a police detective, a former lightworker races to save an ancient family relic from an inter-dimensional conspiracy to steal humanity’s future. IN A DIMENSION BEYOND are groups of beings devoted to the protection of the Web and the advancement of humankind. One of these groups is called the Miracle Mixers.Into the small range of events that are neither fixed by the accumulation of history nor reserved for free choice, they throw miracles. When they get it right, they have the power to change the world … to save the world. They almost always get it right. SECRETS KILL, miracles go wrong, and just when you’re resigned to it, an ordinary life can turn…extraordinary. NOW, SHE’S ON THE LAM with her blind date and a police detective—and she doesn’t trust either of them. Plagued by a stalker and a dimension-spanning conspiracy she damn well refuses to believe, Merri wants answers. Preferably, before someone kills her. 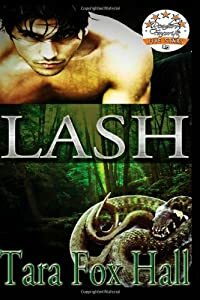 Scarred from a childhood spent in perpetual indigence after being forced from their home in the Everglades, weresnake Trystan Valeras and his family make their way to the Case Hotel. When his wealthy gangster father arrives the summer he turns sixteen, Trystan's dream of a better life, along with the lovely aristocrat Mara, is suddenly within his grasp. Instead of paradise, a series of devastating events unfold, leading Trystan to become the instrument of his dying father's revenge. 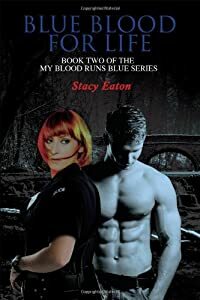 His violent reprisal instigates a backlash of murder and death, forcing Trystan to flee with the remains of his family to the sultry city of New Orleans where he sells himself into the service of the Vampire Lord Abraham. Becoming the assassin Lash to hide his identity, Trystan finds a measure of peace, even as his skill with killing heightens, bringing to him not only new allies, but also new adversaries. "You belong to me... for life..."
After a month off, Kristin comes back to work happier then she's been in a long time. Her new status in life has her solving crimes faster and better than she ever could before. When Alex goes missing, Kristin finds she finally has to reveal the secrets of her life to her friends. Will they be able to stand beside her after they learn all that she has hidden from them? Julian and Gabe stand beside her faithfully as they try to locate Alex. They are surprised to find Trent in Fawn Hollow Township, but know that Trent may be the only one to do what Alex has asked them to do. As one more choice is taken away from Kristin, she attempts to make the best of it, but finds herself drawn to Trent in a way Julian and Alexander could never compare to. Trent goes to work with Kristin to keep her safe but will he be able to handle all that her police world entails? Can he handle the side of her that she reveals, the one that Alex and Julian know nothing about? When Kristin and Trent uncover the connection between her job and the kidnapping, they are finally able to put the pieces together, but can they get to Alex fast enough? Will Kristin be able to handle rescuing Alex and all that she learns in the process? Join Kristin, Julian, Trent and Alexander as they dive into a new mystery that will have you turning the pages quickly to find out who is responsible and how Kristin's life is forever changed once again. 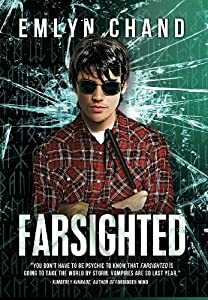 Meet ordinary teens with extraordinary powers in the award-winning Farsighted Series. Alex Kosmitoras's life has never been easy. The only other student who will talk to him is the school bully, his parents are dead broke and insanely overprotective, and... oh yeah, he's blind. Just when he thinks he'll never have a shot at a normal life, an enticing new girl comes to their small Midwest town all the way from India. Simmi is smart, nice, and actually wants to be friends with Alex. Plus she smells like an Almond Joy bar. Sophomore year might not be so bad after all. Alex is in store for another new arrival--an unexpected and often embarrassing ability to "see" the future. Try as he may, he is unable to ignore his visions, especially when they suggest Simmi is in mortal danger. With the help of the mysterious psychic next door and friends who come bearing gifts of their own, Alex embarks on his journey to change the future. ***Open Heart, the second book in the Farsighted series, is now available for purchase! Emily couldn't wait to visit her Aunt and Uncle in their quaint and mysterious little cottage near Stonehenge. But it doesn't take her long to realize that her fairytale kingdom has a sinister twist. One night in her attic bedroom she is confronted by an evil entity that would taunt her for the rest of her stay and long after that. Who is this hideous creature and what does she want? When Emily meets the gorgeous Jonathan McArthur she is infatuated, consumed with lust and an odd familiarity, as if they had met before. Will he be coaxed by the peculiar old gypsy to enter the dreaded woodlot? Can the bloody ancient curse be removed before it's too late? And will Emily ever get to feel his lips on hers? A chilling tale of love, passion, sorcery and sacrifice; laced with mystery and tied with humor. 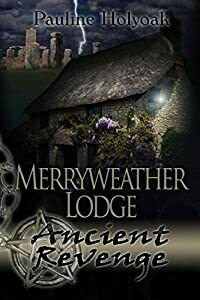 Inspired by the author's own experiences in a remote little cottage near Stonehenge. What if someone told you in no uncertain terms that you were destined to become president of the United States someday? Would you believe him or her? Someone told Parker Shaw that very thing. But, like any twenty-year-old, he just shook his head, not sure what to think of the elderly Navajo man he and his buddy Sam encountered one summer day. Why does he look so familiar? Granted, Parker and Sam had been trespassing on this guy’s property out in the middle of Monument Valley, but they had not expected so many surprises. That is, unless you count the fact that Parker had a dream about being shot in the head after falling off a horse, out in a desolate, red-rocked, smokestack factory kind of place—like northern Arizona. By a bunch of vaqueros, no less! Imagine his surprise when his curiosity led him to a spot where the dream may have taken place? What? 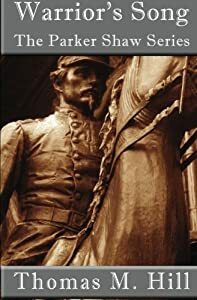 Parker’s mom would have completely flipped out, and his dad would have disowned him if they had known what he was up to, his strong Chesapeake Bay roots echoing centuries of learned Shaw men who had answered a nation’s call, the least of which being his Civil War hero ancestor. That’s beside the point; Parker was entering a new world, and all he could do was buckle his seatbelt, sit back, and enjoy the ride. Thank God Sam was there. Poor Parker just wishes he could go back to being an average kid. But the destiny doesn’t give up on you, Parker, so you can’t give up on it. As his story continues to unfold, his uncanny knack for being in the right place at the right time only serves to awaken him. "Like so many college students, Shaw is torn between his father’s dream for his future and his own uncertainty. Shaw’s intellectual self-exploration provides the foundation of this novel. Hill sprinkles the novel’s dialog with references to the fundamentals of a liberal arts education, including American history, science, psychology, sociology, and philosophy. At first, these references seem unrelated; however, Mr. Hill winds them together in an increasingly pertinent existential rationale. Elemental to this exploration are concepts of the human soul, reincarnation and the integration of purpose, fulfilled as a result of Hill’s use of nuance and association." "This book is so very inspirational. There are many young men in the United States who will study for and enter government activities at some time in their lives. They may have taken the same classes as Parker and Sam, but will they have the same drive, the need to reach out and know even more. If you have a teenage son, or daughter, looking toward college, I highly recommend this book be read by the entire family. Hill writes fluently from what he had studied, but more importantly merges his own personal philosophy that has undoubtedly evolved, and shares it with us as we each strive for success in today's world. This literary gem is undoubtedly the first in what will become a treasure of conceptual thinking and insight that will surely spark new enthusiasm in the lives of each and every reader. Don't miss the opportunity!"